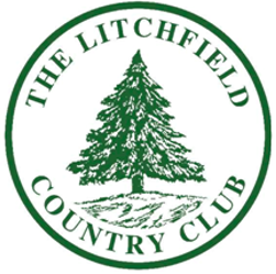 The Litchfield Country Club tennis facilities include 4 well maintained har-tru courts surrounded by a beautiful 9 hole golf course, a swimming pool and a thriving restaurant. The terrace outside the tennis shop is a popular place for our members to take in a match, observe a lesson or clinic, eat lunch or just socialize in a relaxed and vibrant setting. LCC tennis offers social tennis and instructional programs for all levels of adult and junior players. Members enjoy the benefits of professional instruction, challenging tennis and engaging social events centered around the game. 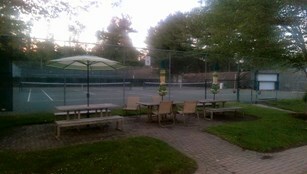 The LCC Head Pro and Tennis Director are always available to meet your needs and make you feel at home. For any questions regarding the Club's Tennis Program, please drop an email to tennis@litchfield.club or call 860-567-8383 x106.